For many Americans, a home mortgage is the biggest expense they have. Housing costs take up an estimated thirty three percent of a family budget in this country, and the interest and principal on a mortgage are estimated to take up over three-fourths of that amount (www.bankrate.com). Of course, all that money is going to pay for the largest asset that most American families own; their home. Because of this, many people assume that the money they spend on their monthly mortgage payment is both a payment for a place to live and an investment. As such, they usually assume that there is no real way to save money on their monthly payment unless they get the mortgage paid off early. While paying off a mortgage early can be a good option for some people, a lot of people can save some money and get a better return on their investment by refinancing their home mortgage and/or using the mortgage to consolidate debt. Of course, in order to do this correctly, a person has to understand how each of these processes work and how they can use them to benefit themselves and their family. The truth is, both of these options have been around for decades, but they were misused and misrepresented in the past several years. Many people believe that this was one of the main factors leading to the financial crisis. Because of this, a lot of people have simply decided that they will not even explore these options for themselves. The truth is that these options can save a person or family thousands of dollars, but they have to be used correctly. Take a home refinance, for example. Banks have been refinancing loans for centuries, yet only a small percentage of homeowners go through the process every year. Essentially, a home loan refinance allows a homeowner to pay a lower interest rate than the one he or she is currently paying. There are many different ways to refinance a mortgage, however, and many different reason to want to do it. To start, a home mortgage refinance is a long process. Unlike a credit card application or car loan that can be approved in minutes, a mortgage can take over a month to process. In addition, there are often costs that are associated with a refinance that are equivalent to anywhere between two and four percent of the amount being refinanced. Historically, a home loan refinance begins with the home being refinanced getting appraised. This is done by a professional who gives a assessment of the value of the home. The volatile housing market, however, has made it difficult for many banks to believe that these assessments are accurate. This means that there are a lot of loans available that are not requiring an appraisal. The refinancing process will also usually include an examination of the applicant's credit. While the exact factors that are considered from these reports vary from year to year, it's generally a good idea to have as high a credit score as possible if you decide to apply. Before starting the process, of course, a homeowner has to decide what his or her goals are with refinancing. Typically, a refinancing is done to reduce an interest rate, save money on a monthly payment, pull cash out of a home, and/or get the loan paid off faster. 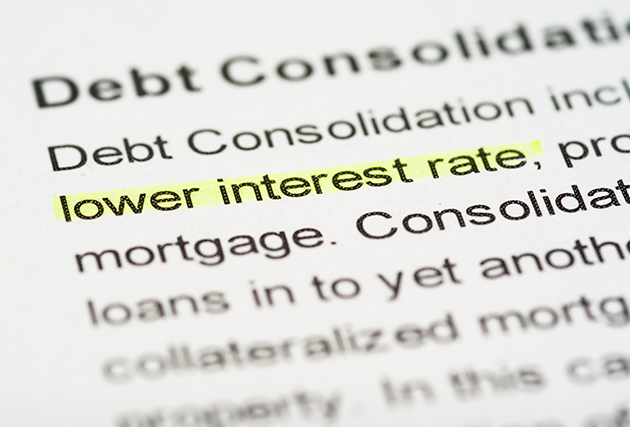 Today, nearly everyone who refinances a home is able to get a lower interest rate. Because the federal government has kept interest rates for the federal bank at record low levels, banks are offering mortgage rates at record low levels. Historically, refinanced mortgages are considered to be fairly safe investments for banks, allowing them to offer rates that only a few points above what they would get by investing their money with the government. Many people have discovered that they qualify for rates on their primary residence that are less than five percent. In many cases, homeowners have discovered that they qualify for rates that are several points lower than what they currently have. While this might not sound like a lot, remember that even a one percent reduction in interest can save a homeowner over a hundred dollars a month, depending on the amount that he or she has financed. Keep in mind that this savings is all interest. If the interest rate is lowered, there will most likely be some savings every month. In addition, the term of the mortgage is often extended during a refinance. For example, if a homeowner has a mortgage with twenty years left on it, he or she can refinance into a loan with a new thirty year term. Since only the amount that is still owed on the home is refinanced, many homeowners see their monthly payment significantly reduced. For a homeowner or family that needs to save money every month, this option is one of the main reasons why they choose to refinance. It should be noted, however, that not everyone will save a lot of money by doing this. If the mortgage is less than three years old, odds are the amount of fees that a homeowner will pay to refinance will replace any potential savings that he or she would have seen. In fact, there have been a spate of media stories about families who went through the entire refinancing process just to find out that the new loan would only save them a few dollars a month. For this reason, it is usually recommended that a homeowner who wants to refinance find out the terms and conditions of the new loan. If you are a homeowner that needs a drastically lower payment or even the ability to skip a few payments, be upfront with the mortgage broker about this. Having a couple thousand dollars added to your loan balance just to save a few bucks a month won't help you in the long term or the short term. The most important thing to keep in mind is that a refinance is not a magic bullet fix for long-term financial problems. As a result of the recent recession, many families have come across ads promising to cut mortgage payments through refinancing. While many of these ads are from legitimate companies, a family or individual has to really consider if refinancing will help them keep their house out of foreclosure and if the house is really worth saving. If you have recently lost a job or are going through some other temporary financial difficulty, make a budget that includes the new mortgage payment before agreeing to a refinance. On the other hand, if your financial problems are not temporary, it might just make the most sense to sell the home. Perhaps the second most common reason people look into refinancing a home is to get out of debt faster. By having an interest rate reduced and nothing else change about the loan terms, the loan payment will drop. If a homeowner doesn't need a lower payment, however, it is possible to keep making the same payment every month and use the additional cash towards paying down the principal of the loan. For example, a mortgage for $140,000 at 6% will have a monthly payment around $900 over thirty years. About ten years into the loan, the homeowner will owe about $120,000. By refinancing this amount at 4% over twenty years, the payment drops to around $700. That means the homeowner could pocket $200 a month, or use that money to pay off the loan balance. Because many banks offer lower interest rates for loan terms that are less than thirty years, many people who plan on keeping their homes for a long time are willing to pay a little more each month to get the home paid off years earlier than they otherwise would have. With a lower interest rate, many of these people have seen their payment remain virtually the same, but they are able to shave five or more years of payments off their loan term. One of the most confusing things that people can do with a refinance is take cash out of their home, but this is also one of the most useful features of a new mortgage if it is used correctly. Essentially, the process for this type of refinance is very similar to that of a regular refinance, but there is an emphasis on determining the fair market value of the home and comparing it to the amount that is still owed on the home. The difference between these two numbers is the equity in the home. This equity can be borrowed against as part of a mortgage refinance. For example, assume a homeowner purchased a home for $200,000 several years ago. Over this time, he or she has paid down the balance to $150,000. As he or she goes through the process of refinancing, the bank (with the help of a professional appraiser), is able to determine that the house could sell for $225,000 today. This means that the homeowner has equity worth $75,000. Of course, it should be noted that in many cases today a homeowner actually owes more on the house than it could be sold for. This is referred to as negative equity or being underwater on the house. There are very few cases in which a bank is willing to offer a cash out refinance to someone who is underwater on his or her home. For people who have lived in their home for a long time, however, the fact that they have equity will enable them to have access to a low interest loan that can be used for many different purposes. Because interest rates on home loans are often a lot lower than the interest rates offered on car loans, private student loans, credit cards, and personal loans, many people choose to pull out the equity from their home and use the cash to pay off their other debts. This essentially erases the balance of every loan they pay off, leaving them with only one loan left to pay; their new mortgage. We can use the previous example to see how this could work. Let's assume that the new interest rate on the refinanced mortgage is 4%. The homeowner also has a car loan for $25,000 at 8%, a student loan for $10,000 at 6%, and several credit cards with balances totaling $15,000 all at double-digit interest rates. The homeowner would take out a new mortgage on his or her home for $225,000. This is essentially the equivalent of purchasing a new house for this amount, but the owner doesn't have to move. The first $150,000 of the loan is used to pay off the old mortgage. This will leave the homeowner with $75,000 in cash and a single mortgage payment. The homeowner can them use the cash he or she has received to pay off his or her student loan, car loan, and credit cards. The car would be fully paid off, the student loan would be paid off, and the credit cards would show a $0 balance on the next statement. Unless the homeowner continues to charge on the credit cards, he or she will no longer have any bills arriving from these companies. Instead, he or she will only have to make the payment on his or her new mortgage every month. Because the mortgage has a lower interest rate than any of the loans that he or she paid off, odds are the homeowner will pay a lot less in interest over the life of the loan. Furthermore, he or she does not have to worry about the car being repossessed, his or her wages being garnished to pay for the student loan, or the credit cards falling into collections. Of course, in this example, the homeowner would have $25,000 left over in cash. There are a lot of options for what to do with this money. A homeowner could create an emergency fund, contribute to a retirement or other savings account, pay higher education costs, make home improvements, or even give the money back to the bank in exchange for a reduction in the balance owed on the loan.